In Tamil Nadu, they call it “Virundhu Sappadu”. It means a featly meal. The feastly meal of Tamil Nadu is served on a banana leaf. Did you know there is a specific place for each of the dishes which go into the virundhu sapadu? Tamil Nadu has a lot of distinct meal types depending on the ancient geographical division. We have Chettinadu cuisine comprising of Karaikudi and nearby areas, Madurai-Tirunelveli Cuisine comprising of other southern districts, Kongunadu cuisine and of course Nanjilnadu cuisine which is that of the Deep South Kanyakumari and nearby places which is famous for its fish varieties. Chettinadu delicacies are Vellai Appam, idiyappam, uthappam, paal paniyaram and non-vegetarian dishes made primarily using chicken. Some from our site are Chicken Chettinad, Chettinaad chicken fry and chettinaad chicken kurma. They also boast of Chettinad Fish curry and chettinaad vegetable curry. Madurai, Tirunelveli areas also favor non-vegetarian food made of mutton, chicken and fish. Parota is a simple delicacy made of maida. It is served in all places in Tamil Nadu, including both five star restaurants and cheap wayside eateries. Madurai area has its own unique foods such as jigarthanda, egg parotta (parotta minced with eggs), paruthipal (a dish made of cottonseeds), Karidosai (dosa with mutton stuffing) & ennaidosa (dosa with lots of oil). Nanjilnadu and Kanyakumari districts are famous for its fish dishes because of being coastal. Sweet and spicy dishes made of coconuts are also very popular here. Coconut oil forms a base for almost all the dishes in this region. Kongunadu region has delicacies like Sandhavai (rice dish which looks like noodles), Uputtu (a sweet, which looks like pizza) Thengai Paal (sweet hot milk made of jaggery, coconut and cotton seeds), Ulundu Kali(Sweet made out of Jaggery and Black Gram), Ragi puttumavu, Arisi Puttumavu, Vazhaipoo Poriyal, Kambu Paniyaram, Ragi Pakoda, coconut barfi, Kadalai Urundai, Ellu Urundai, Pori Urundai. During a Virundhu Sappadu, the feastly meal, the guests sits on a mat and the meal is served on a banana leaf which is spread in front of the guests. The dishes are served in a particular order, and each dish has its own specific spot on the leaf. Everyone starts together and ends the meal together. The top half of the banana leaf is for the side dishes and the bottom part is for the main dish. Payasam, Kesari, Sweet Pongal or any Dessert also occupies a portion of the bottom part. The top left includes a pinch of salt, a dash of pickle and a spoon of salad, a spoon of pachadi. In the middle of the leaf there may be a banana chips, potato chips and fried papads and a vadai. The top right hand corner is reserved for spicy foods including a wide array of curries and gravies. Dry and wet curries are placed one after the other. They are called poriyal and koothu. A minimum of three curries are served in a feast. Traditionally, sweets are eaten first. Sambar (there are so many different types of sambar that you just have to visit this link to know what I mean) rice is eaten first with a spoon of ghee. This is followed by Kuzhambu and then Rasam. Finally rice with curd or buttermilk is eaten at the end of the meal. In the end, the meal is complete with a banana. Tiffin items. They are served in the evening as a snack and a few tiffin items also feature in the breakfast. 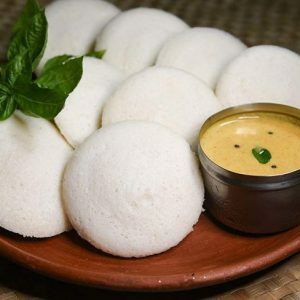 Dishes like idli, sevai, upma, pongal,, uttapam, dosai, puttu, aval, chapathi, adai, Vadai. Filter coffee is the main beverage along with this tiffin. Masala tea is also gaining popularity nowadays. Dosa actually requires a special mention here. 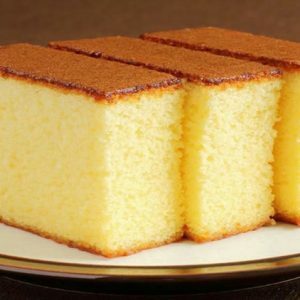 Though it is traditionally eaten as breakfast or as tiffin, because of its deliciousness and popularity as a fast food nowadays, it is eaten at almost anytime of the day. We have an entire section on dosas. All Tamil Nadu dosas are featured here with also a few modern and international recipes. Murukku, seedai, bajji, bonda, karapori, mixture and pakoda are very tasty savories. A unique aspect of dishes of Tamil Nadu is that it is still prepared the original way with no adulteration of the modern lifestyle. In fact the leisure of cooking and traditional style of serving has remained unaltered for centuries. Tamil cuisine retains its basic character, yes indeed it has a special personality of its own and it remains unchanged. The old is still very much the gold! Feel free to comment or share your thoughts on this "Virundhu Sappadu of Tamil Nadu" article from Awesome Cuisine.